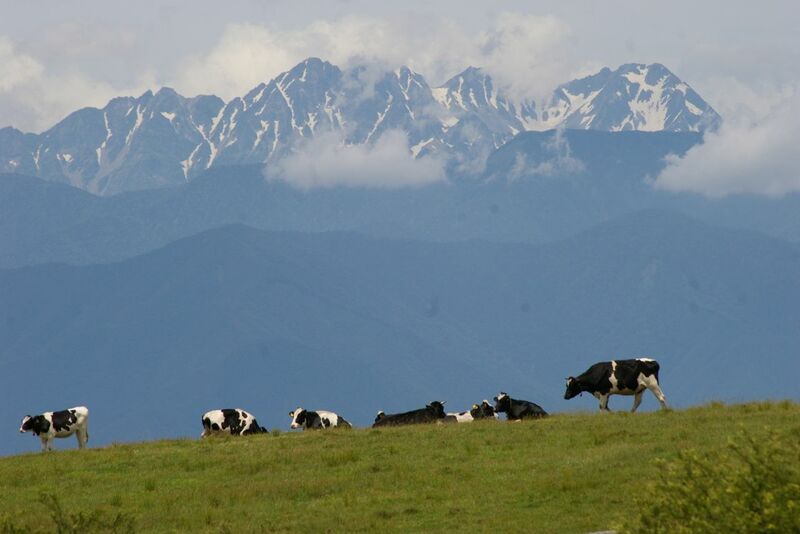 At Takabocchi Highlands on the gently spreading slopes of Mt. Takabocchi (altitude 1,665m), a 360° panorama unfolds. 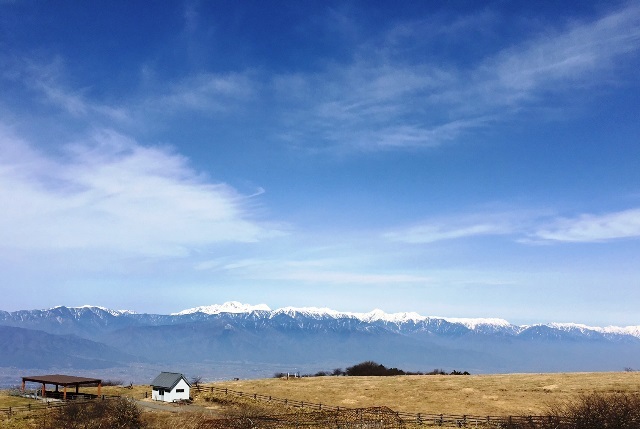 From the summit you can see the Northern Alps, the Yatsugatake mountains, the Southern Alps, the Central Alps, and Lake Suwa. On a day when the air is crystal clear, you might even see Mt. 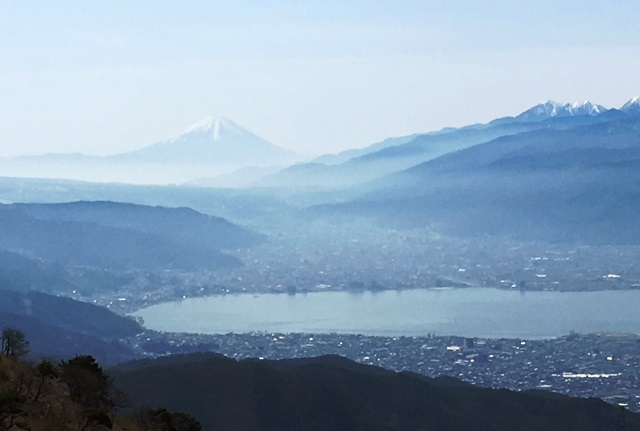 Fuji reflected in Lake Suwa. This place is well known as one of Japan's leading spots for photography. 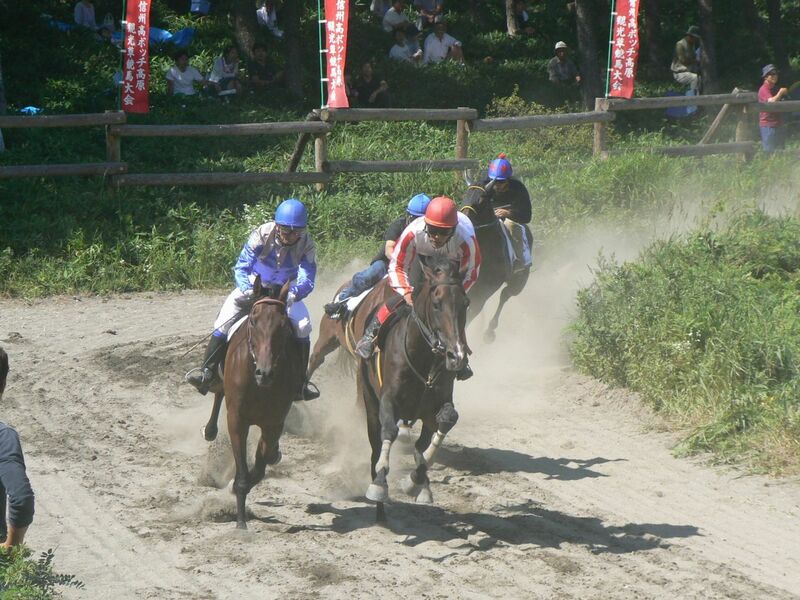 Each year on the first Sunday of August, the Takabocchi Highland Tourism Kusa Horse Races are held. They are Japan's highest altitude horse races, and around 80 horses and ponies from around Japan participate. Along with the intense excitement of watching horses racing right in front of you, there are events such as pony races that are full of charm, a horse-drawn carriage for children, and a petting zoo. You can enjoy the very best of summer on this refreshing highland plateau.